Sesan Oguntade writes problem-solving books. He loves to use his books to solve practical problems of the people and the society. He believes books are avenues to affect the world for good. He also loves to investigate success strategies of successful business people and organisations and is always willing to share his discoveries through books. 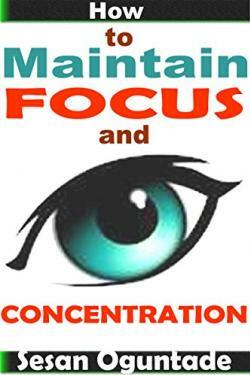 How to maintain focus and concentration will help you to handle distractions. It will help you to keep your focus on your business goals. It contains practical tips on how you can keep up the momentum when you start a business project until the end of the project. Most times, it appears very easy to kick start a project, a company, an idea or an organisation but it takes a lot of works if the project or idea will move from the starting point to the finish point. In between these two important stages is the middle stage where the project executor needs lots of focus and concentration on the project. Usually, lots of distractions come around and lots of obstacles come knocking. You, the project executor must learn to keep these and any other "unwanted guests" away from yourself and your project. How to maintain focus and concentration will help you to keep to your set goals and objectives. Download a copy of this book today. Struggling With Your Small Business? You Can Make More Profits Using These Great Christian Practical Strategies. 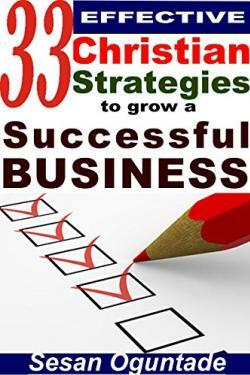 33 Effective Christian Strategies to Grow a Successful Business will show you simple strategies to start and grow your small business. These Christian tips will help your business growth day by day. This book merged the practical truth and principles from God's Word to present-day practical methods entrepreneurs can use for their small business management and growth. Over 33 simple and effective tips are shared in this book that will help you to succeed in life and business. Please obtain a copy today. Bola Ajagun worked as a Mathematics teacher with the Federal Government of Nigeria for many years. He had been taught most Bible financial success principles right from his teenage Christian years and believed he had all it takes to be financially successful in his lifetime. However, when happenings around his financial life were contrary to his religious knowledge and beliefs, he knew he needed help urgently. 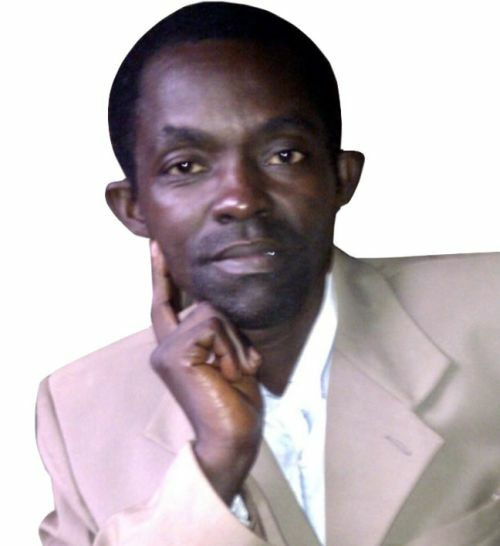 The pangs and discomfort of poverty and lack of financial fulfillment dampened Bola's morale about his Christian beliefs. He was fighting the outcomes of many unfulfilled religious promises and doctrines. Did Bola received the needed help? Did he found any reason to stay with his cherished Christian beliefs or to drop anchor and embraced other beliefs? 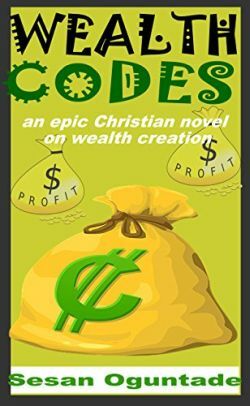 Wealth codes shows you. . . Get a copy today. 52 Bible Secrets for your business SuccessAre You a Christian Small Business Owner and You Want to Improve Your Business Skills and Also Get Inspired on a Daily basis to Take Your Small Business to the Next Level? Get your copy of an interesting book that uses bible principles to teach practical business development skills by Sesan Oguntade Don’t take your feet yet off the pedal of developing your small business as a result of the many challenges you are facing until you have read this book! 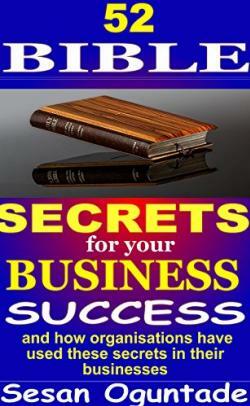 52 bible tips and lessons have been produced in this book to teach practical small business development secrets. The interesting part of this book is the presentation of modern - day business development practical stories of individuals who have used these biblical principles to grow their businesses. This is meant to show you the usefulness of these principles and also to encourage you to grow your small business. If you want to read God's prescriptions on how you can take your small business to the next level, then this book is for you. You should grab your copy immediately! 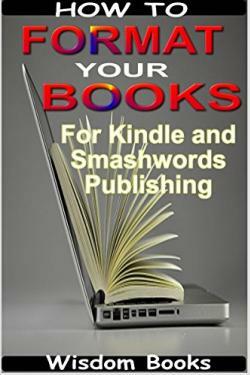 This simple picture guide, How to Format Your Books for Kindle and Smashwords Publishing will show you in simple, picture steps how you can begin to format your books for Kindle and Smashwords. You don't need to be scared of this task again and you don't need to hire anyone to do it for you. These publishing platforms offer authors the chance to self-publish their books at no cost but the book formatting part has kept most authors away from using these platforms as much as they would love to. Yes it is the hard part and most people find it difficult getting this done. Well I have close to 100% success getting my books published on these platforms so I believe I am qualified to teach you. This guide will show simple, baby steps you must begin to take to get around this. I have read the articles and guides on several websites but I believe it will be extremely difficult for a newbie to use those guides to get their books correctly formatted. So I have presented a simpler route and achievable for you with this picture guide. Please get a copy.